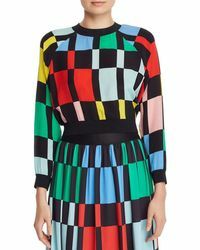 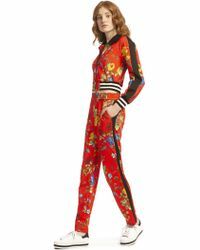 As a brand that was born from the desire to make the perfect pair of trousers, Alice + Olivia has gone from strength to strength in the fashion world. 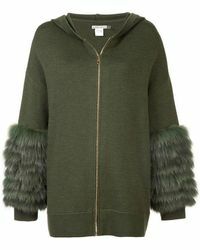 The expansion of the label has seen launches of other lines of fashion and accessories, including a stylish range of sweats. 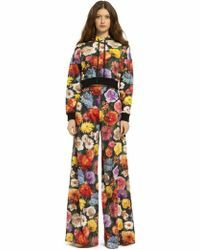 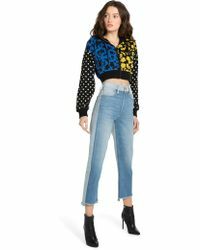 Alice + Olivia sweats have a very definite style edge with features such as lace sleeves, studding and the use of leather and sequins to create a number of very individual looks. 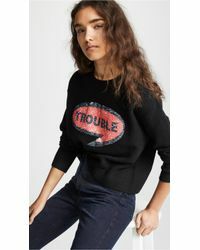 Sweatshirts, jogging bottoms and T-shirts are all part of the line, which also includes hoodies and more traditional jumpers too.